Making cords look good is important to all my clients. 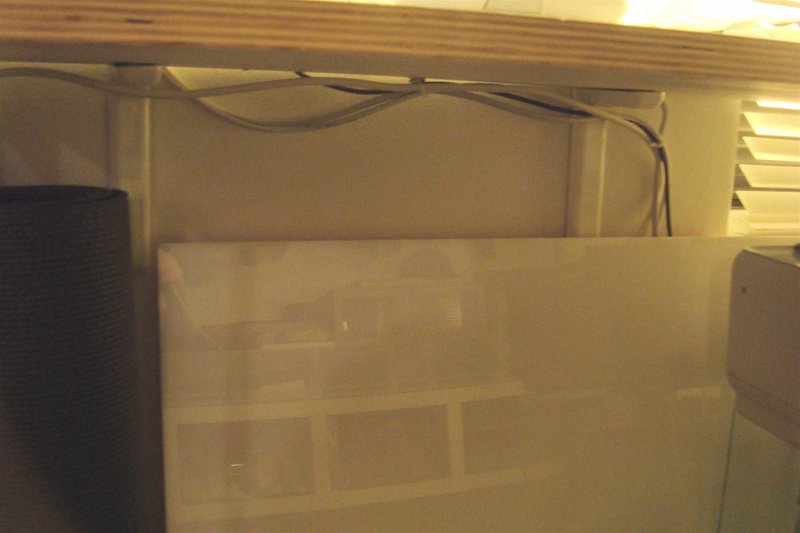 Instead of spending $$ on specialty cord organizers, I like to simply hide cords behind something like the TV console. When clients ask for advice on picking a TV console, I recommend ones with a solid back and not something with all open shelves. 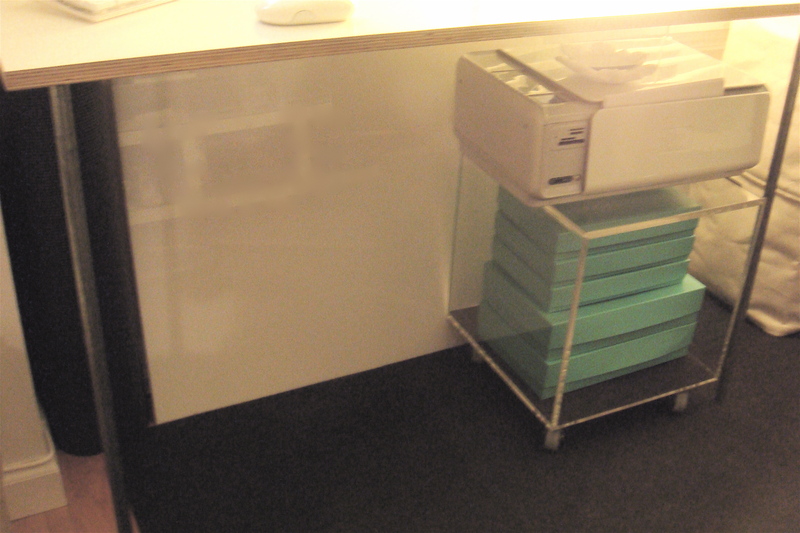 A top open shelf is fine but all open doesn’t work, don’t make it hard for yourself. The above shots are from my apartment. 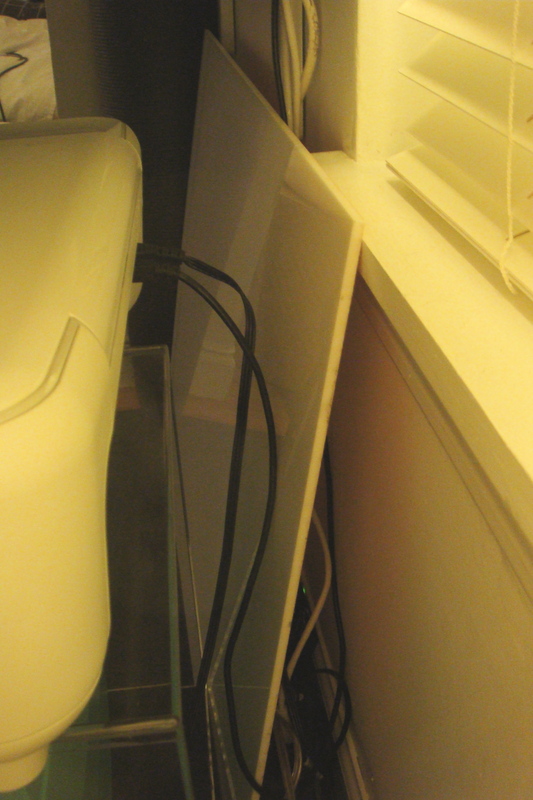 The large piece of white acrylic is from a previous apartment that I just remembered I had so I have it leaning against the wall to cover the power strip. If I didn’t have that acrylic already, I would purchase a larger piece and have it cut to fit behind the desk perfectly, but this will do just fine. 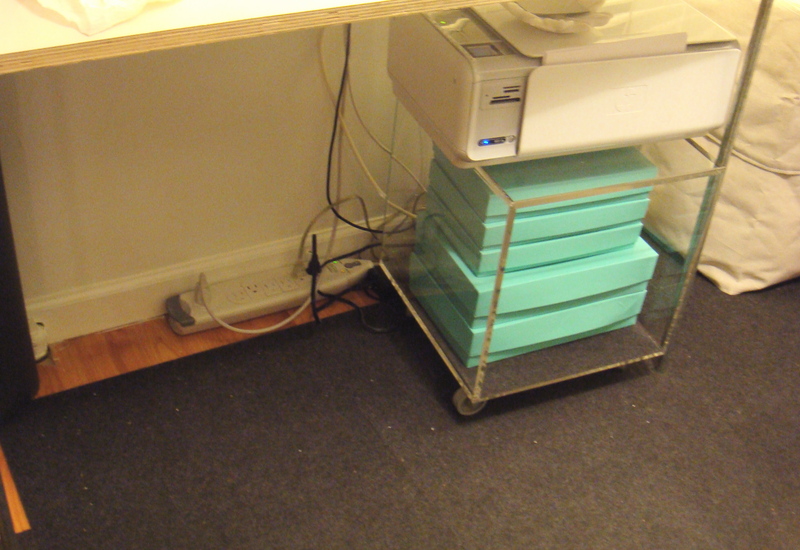 Under the table are removable adhesive cord clips that I’ve had on there for a while. If I put the piece of acrylic first, I probably wouldn’t have used them but they’re something I use a lot for this purpose. If you can’t hide your cords behind anything, these work really well. This is so clever and simple! I love your tips :). While not the point of this (admittedly old) post, I have to ask you where you got the acrylic stand featured here, and by your bed in future pictures.